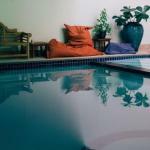 The Remington Suite Hotel and Spa offers an indoor pool and a spa and wellness centre. Free Wi-Fi access is available. Rooms here will provide you with a flat-screen TV and an iPod dock. There is a full a kitchenette with a microwave and a refrigerator. Featuring a spa bath private bathrooms also come with a hairdryer. At The Remington Suite Hotel and Spa you will find a fitness centre. Other facilities offered include meeting facilities dry cleaning and guest laundry room. The hotel is 2.8 km from Heart of Bossier Shopping Center 2.9 km from Ark La Tex Mardi Gras Museum and 2.9 km from Bossier Crossroads Shopping Center.